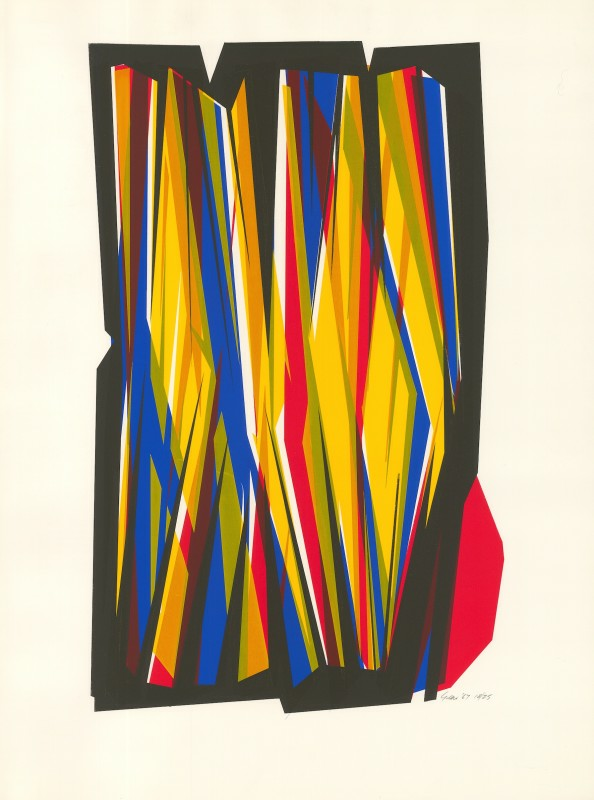 Born in 1915, in Fife, Gear studied at Edinburgh College of Art from 1932. 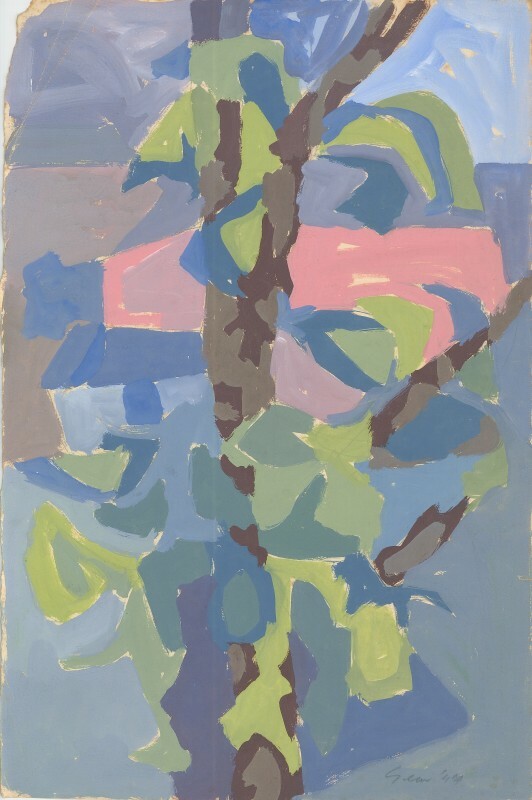 He expressed an early interest in Surrealism (which he soon abandoned), and had a brief brush with the Scottish Colourists when he was taught by SJ Peploe. 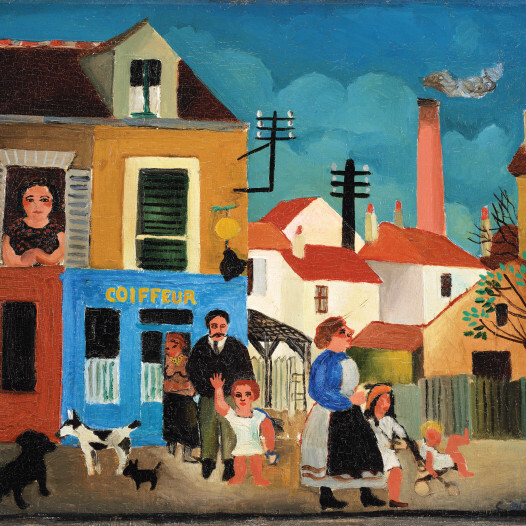 Upon graduating, he won a travelling scholarship, studying under Fernand Léger in Paris. 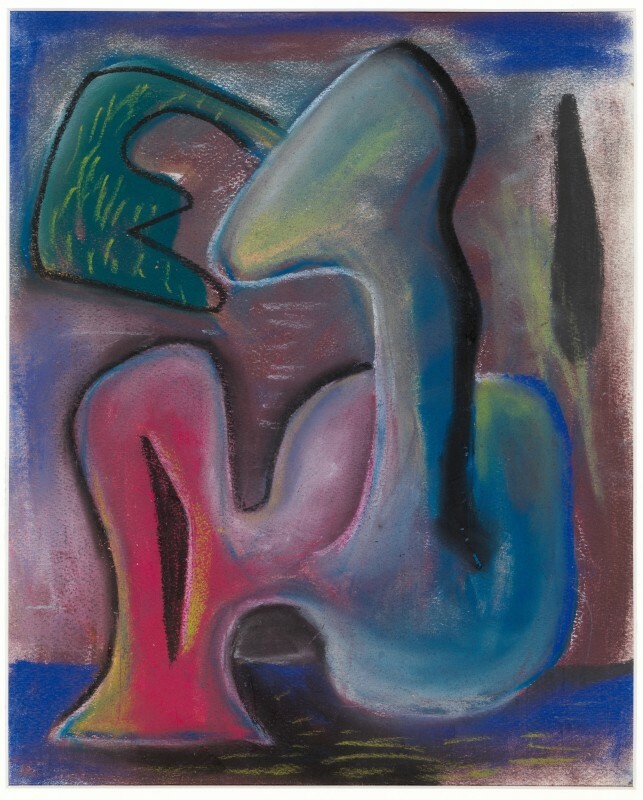 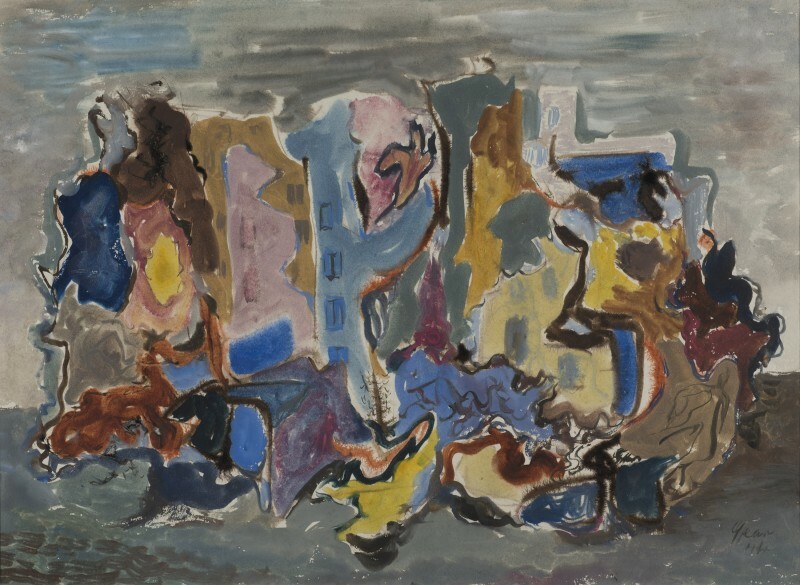 His early works depicted bizarre structures in barren, post-apocalyptic landscapes, examples of which were shown in the first exhibition in Scotland of Surrealist art, in 1939. 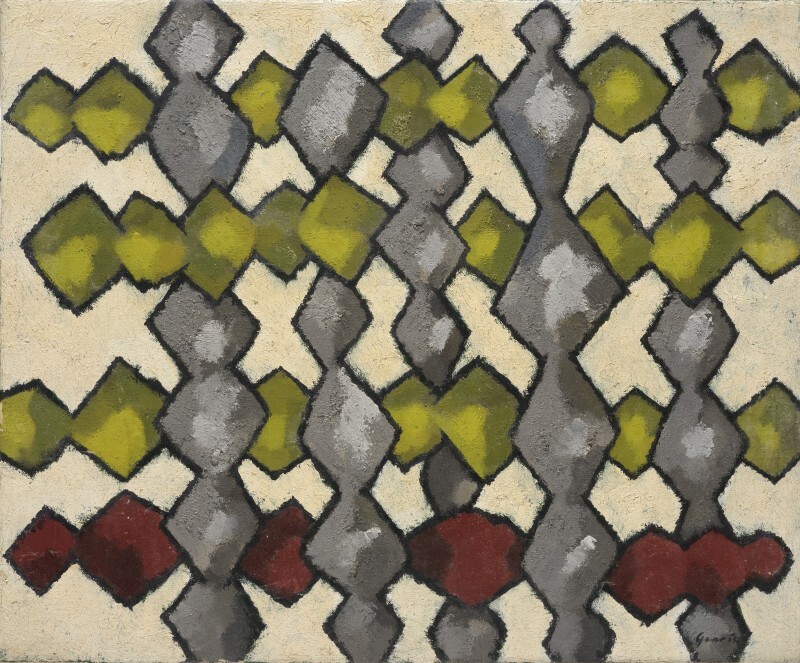 Called up in 1940, Gear met Merlyn Evans en-route to the Middle East, and Karl Otto Götz in Germany. 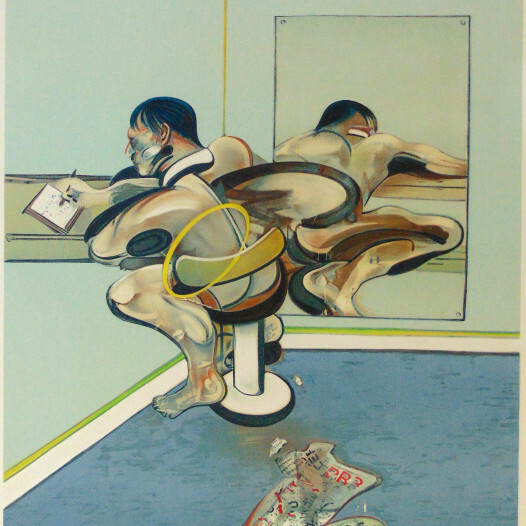 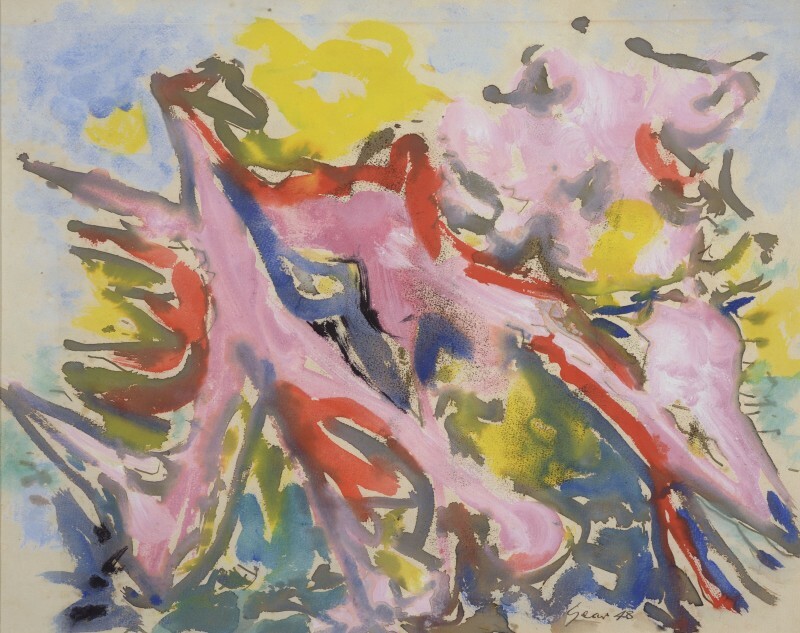 He continued painting, staging solo exhibitions in Florence (1944), Hamburg (1947), and elsewhere. 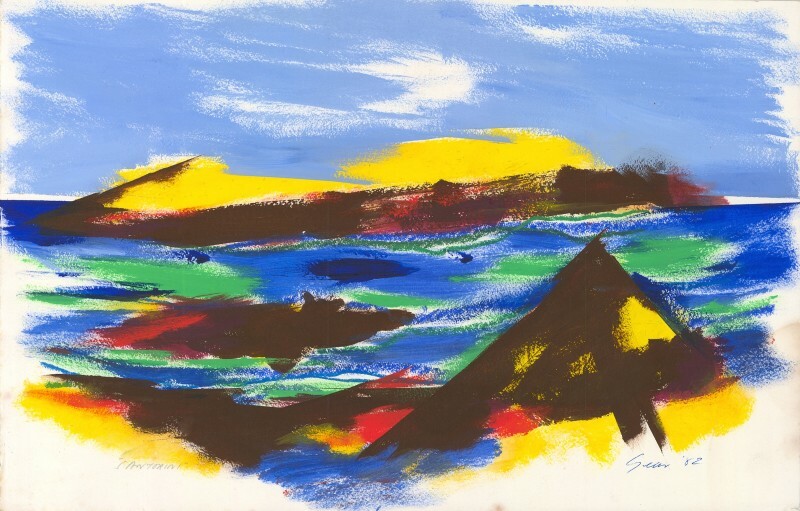 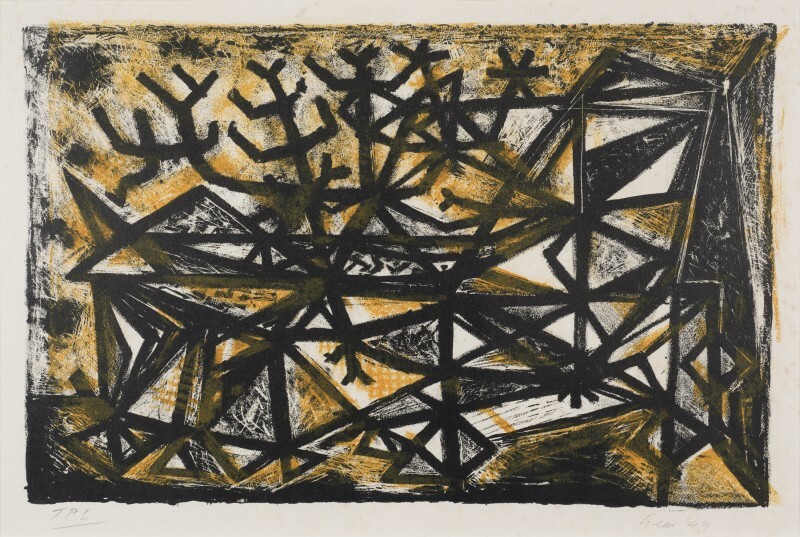 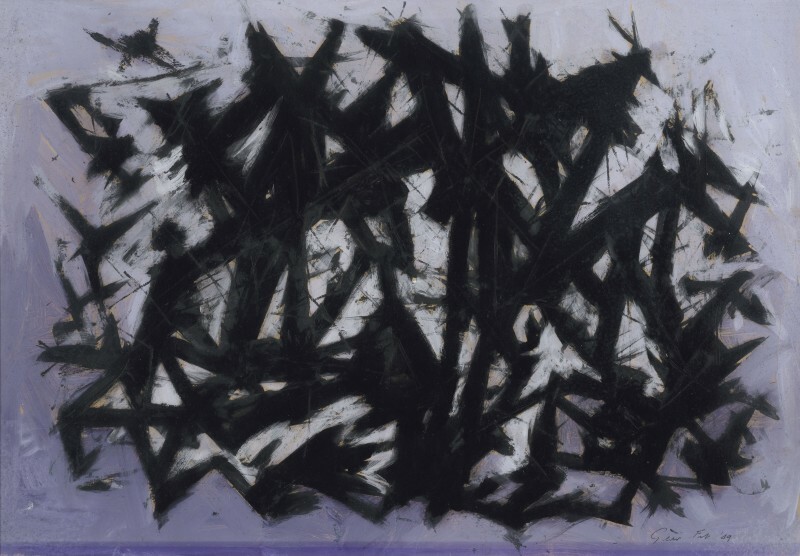 From 1945-47, Gear travelled to Germany (working as a Monuments Man), and, from 1947-50, settled in Paris, befriending Jean-Michel Atlan, Alan Davie, Hans Hartung, and Pierre Soulages, among others. 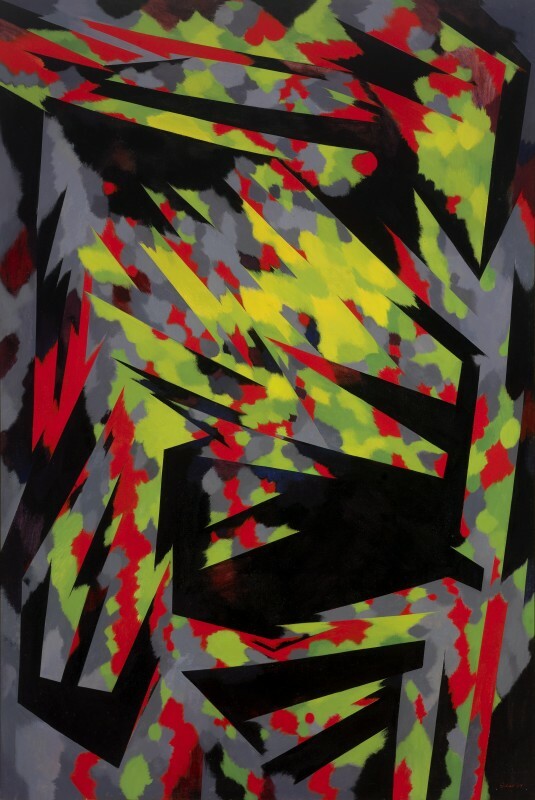 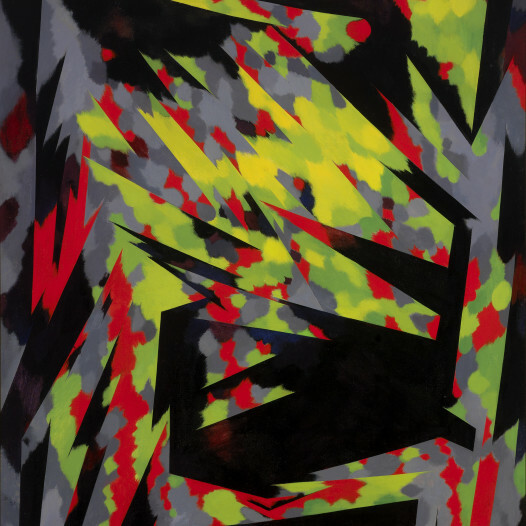 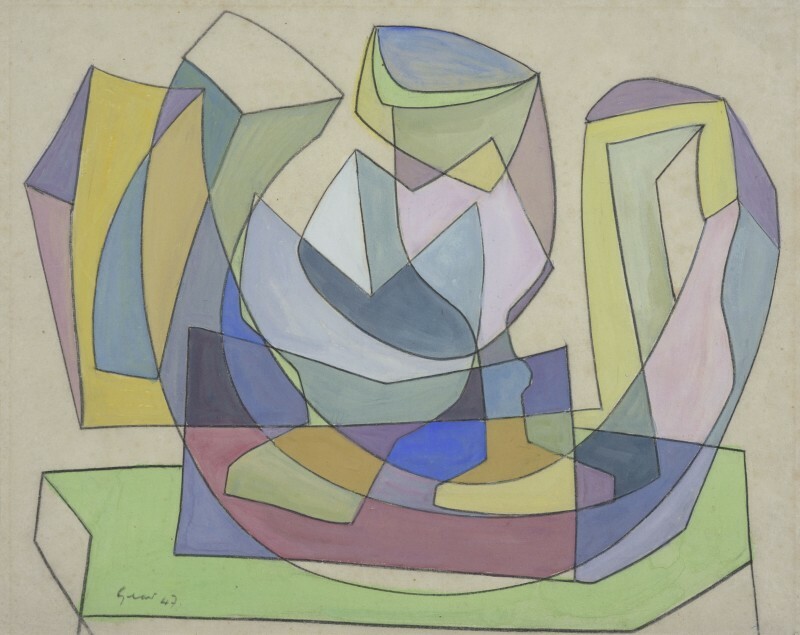 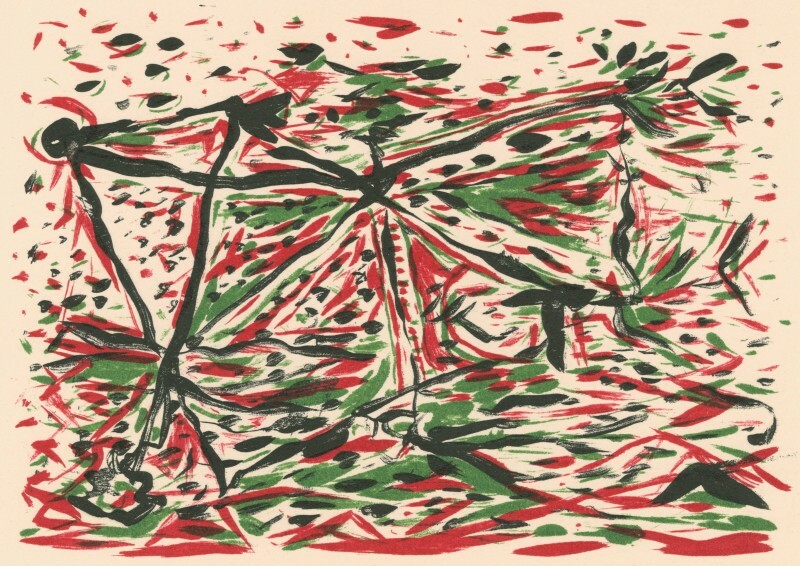 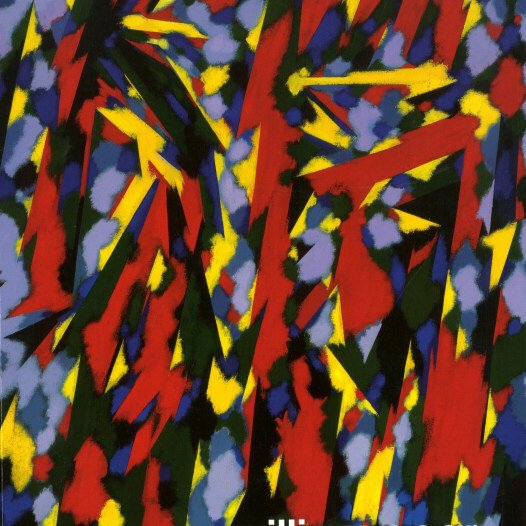 His work grew more abstract, his influence changing from Klee to Léger and de Staël, with irrational shapes and a bold palette that prompted his friend Stephen Gilbert to introduce Gear to CoBrA, allowing him to exhibit in important early CoBrA shows in Copenhagen and in Amsterdam, in 1949. 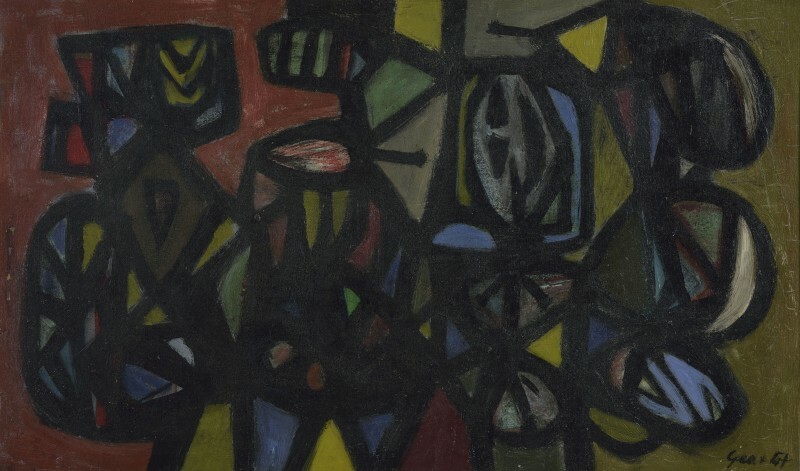 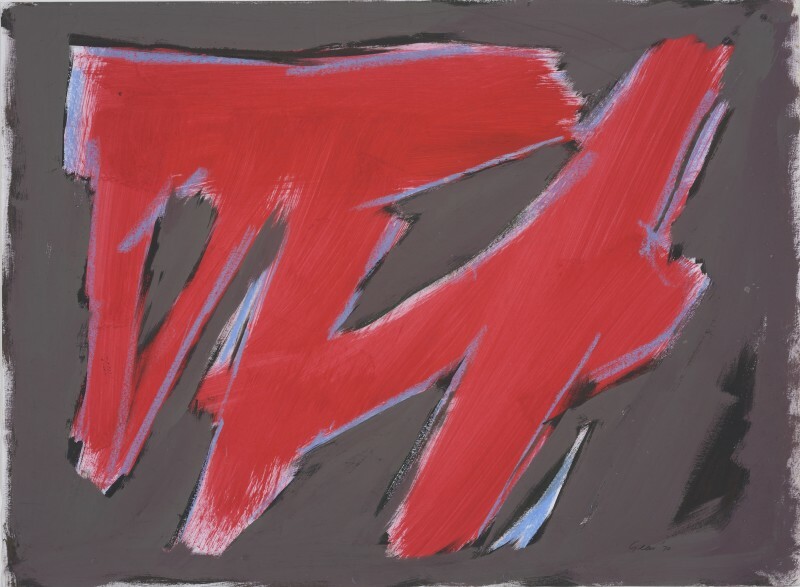 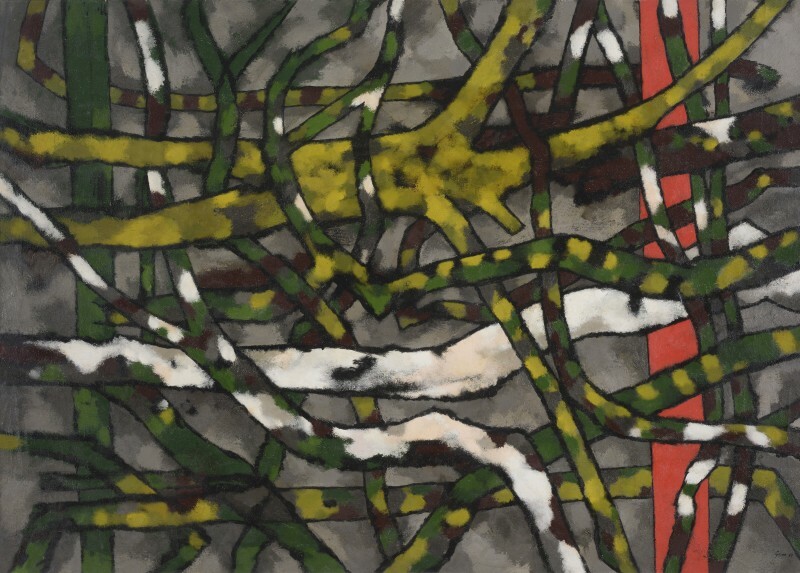 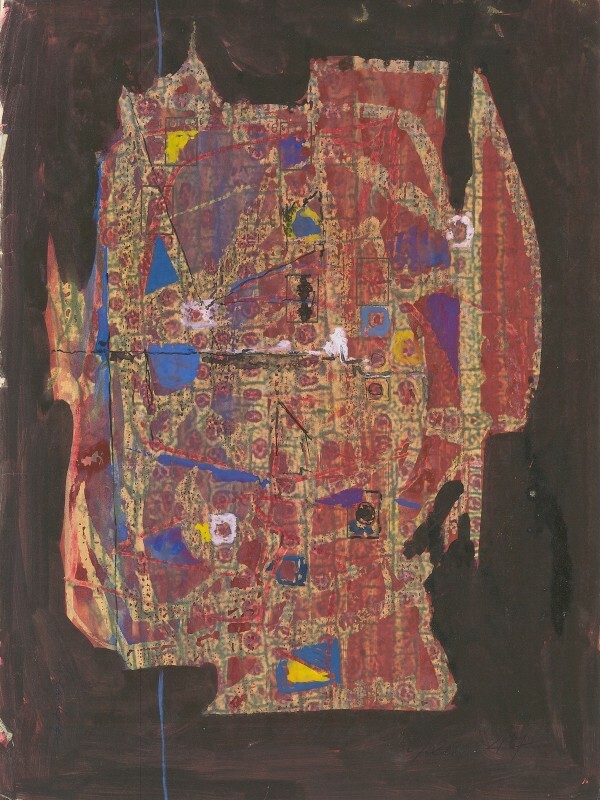 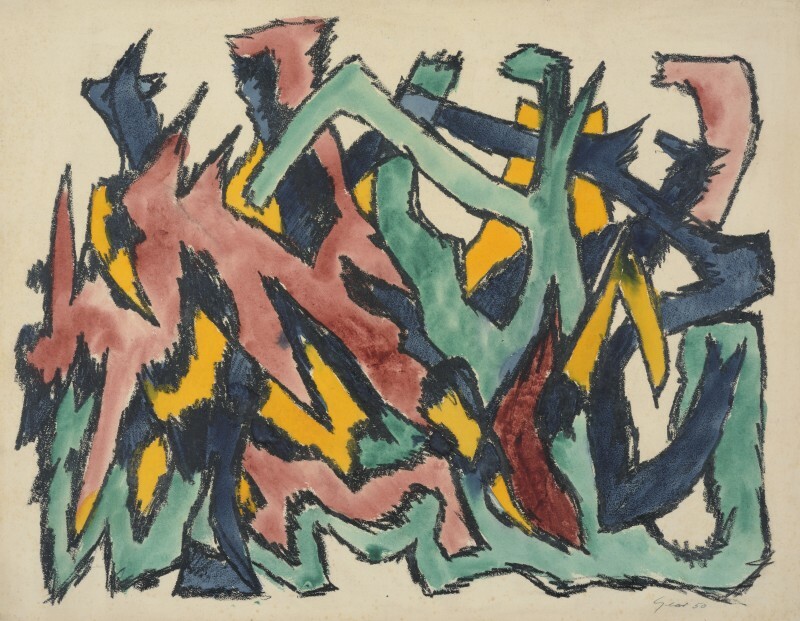 Later that year, Gear’s paintings were recommended to Betty Parsons, a prominent New York dealer and champion of Modernism, who arranged for a joint-exhibition with Jackson Pollock. 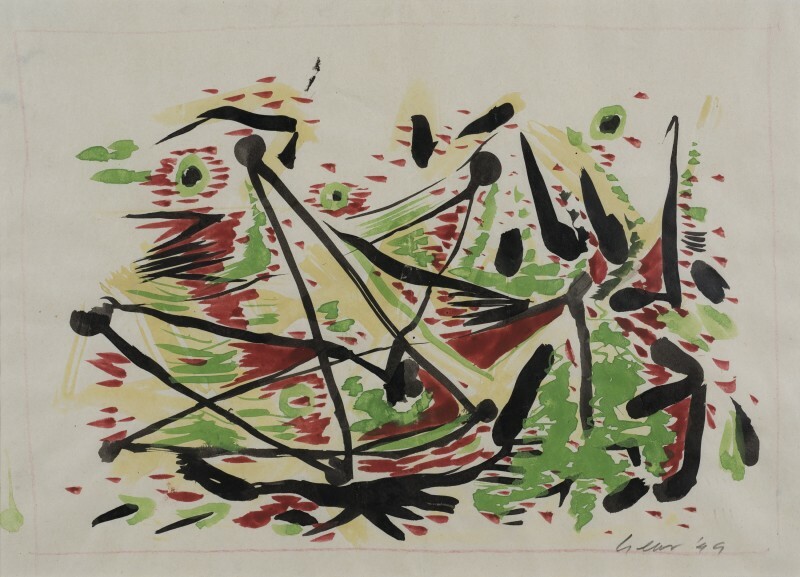 This was the first time his work was shown in America, and Gear was the only non-American who Pollock shared an exhibition with. 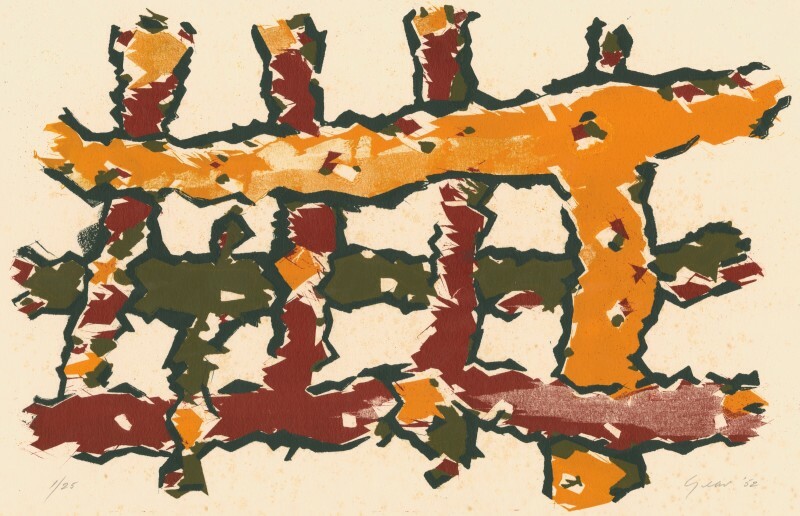 However, the New York show failed to launch Gear in America. 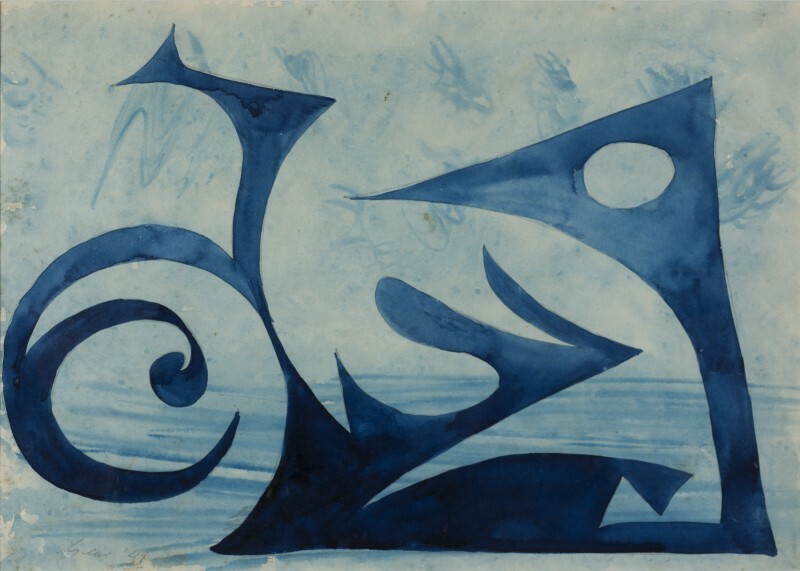 In the later summer of 1950, Gear stayed in Doëlan, in south Finistère, drawing and painting marine subjects. 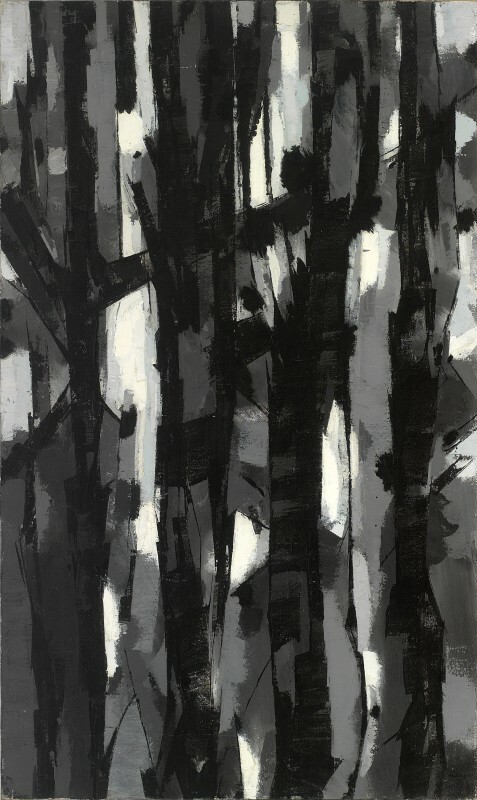 Later that year, he moved to Buckinghamshire with his new wife, where the abstracted fall of light glimpsed through tangled trees manifested itself in large, painterly canvases. 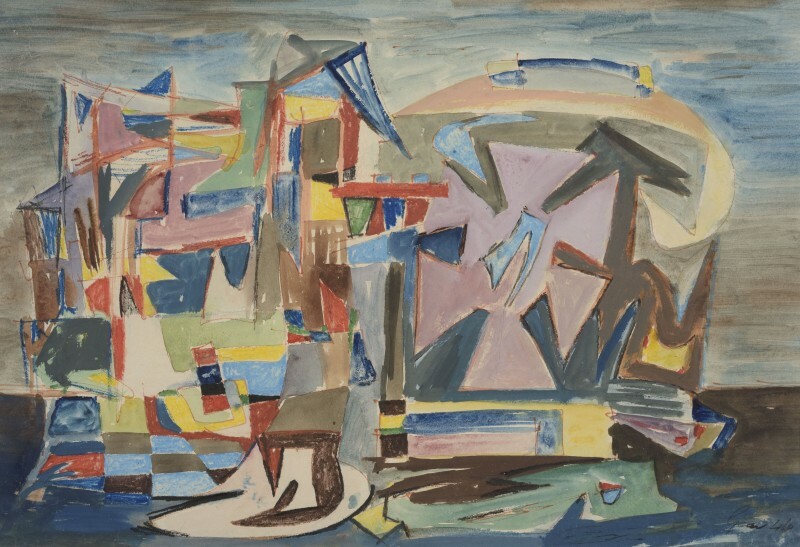 A famous example is Autumn Landscape, painted for the 1951 Festival of Britain. 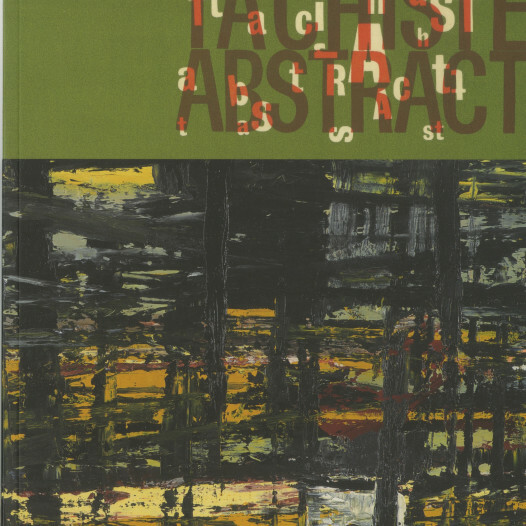 It won a prize but its abstract nature and the fact that it was reproduced upside-down in the exhibition catalogue caused great controversy. 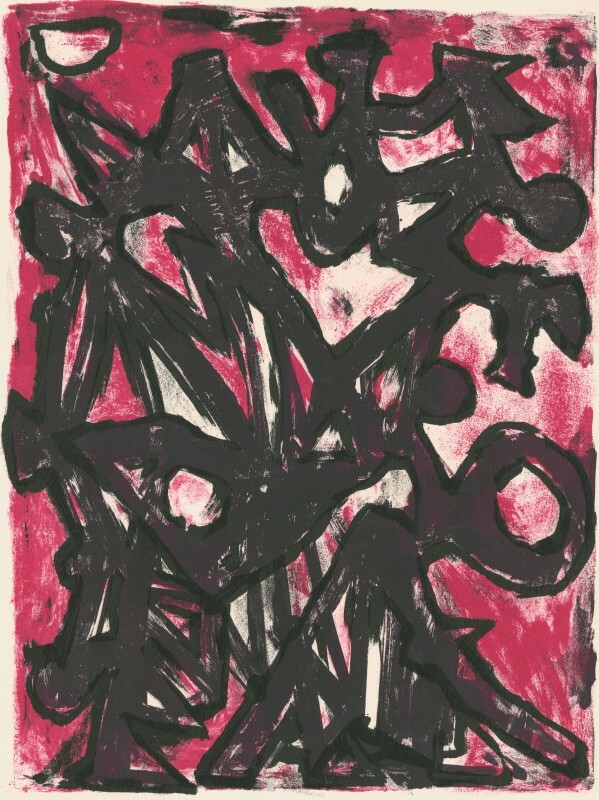 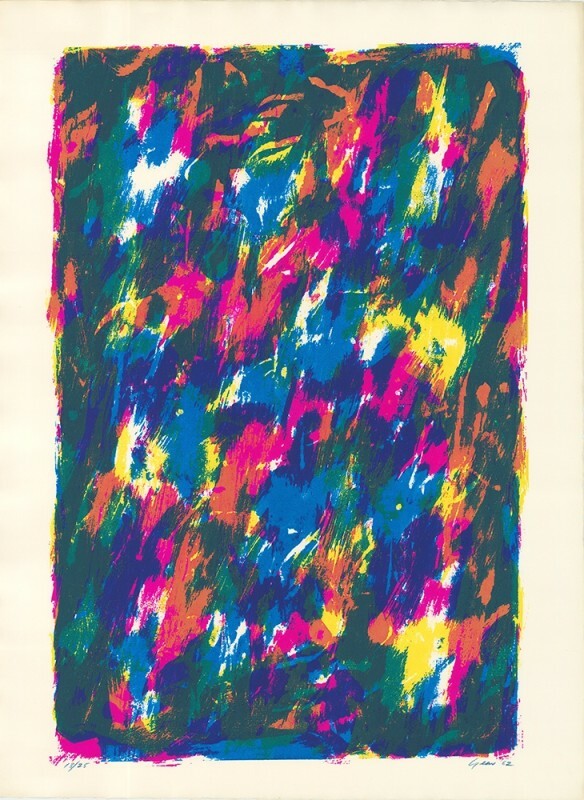 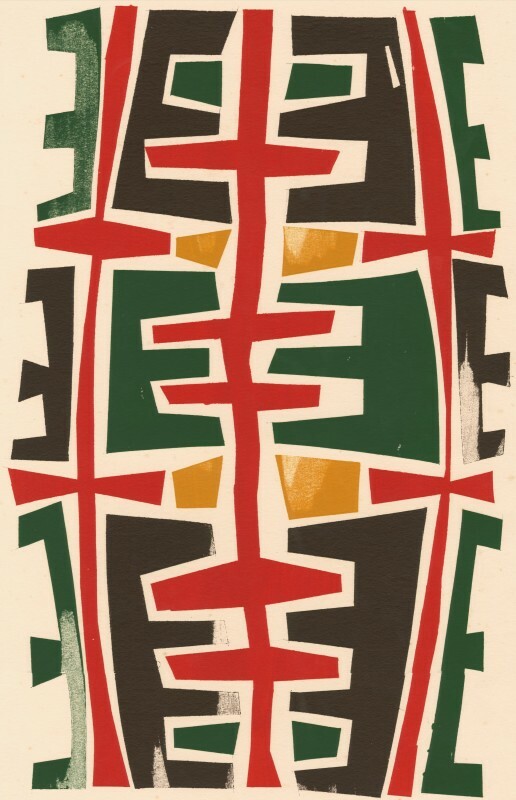 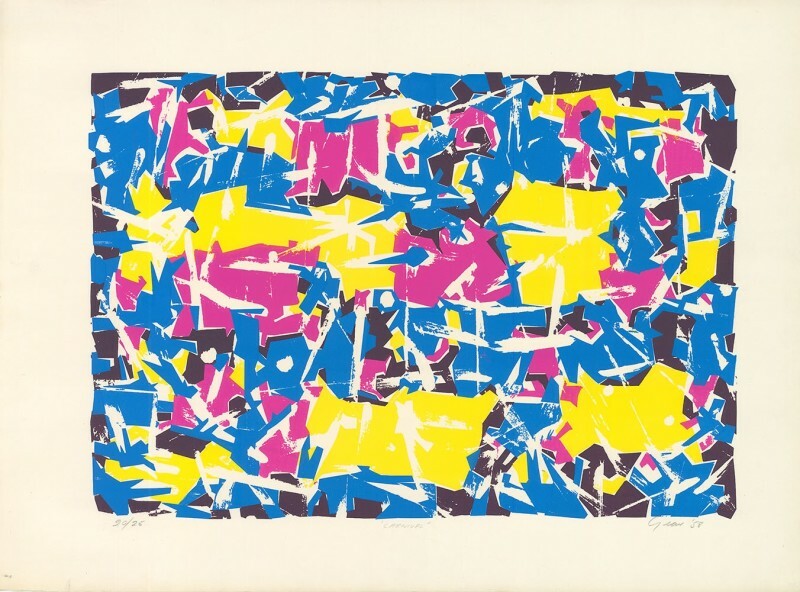 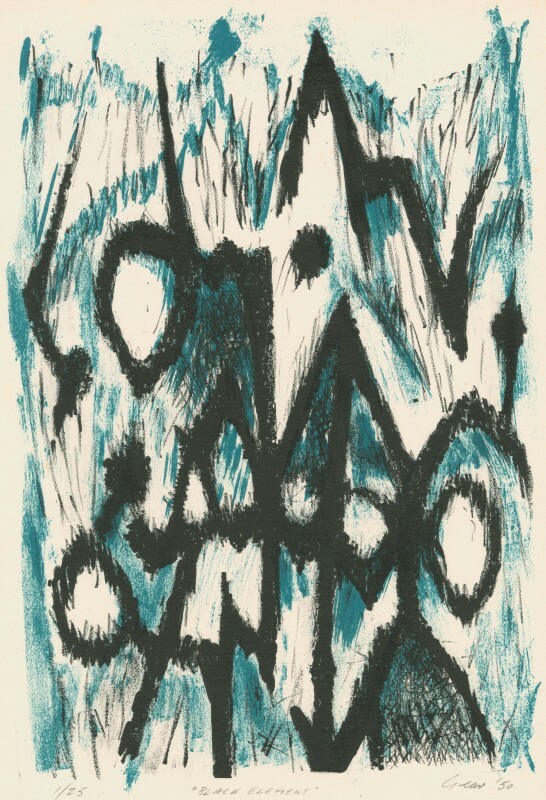 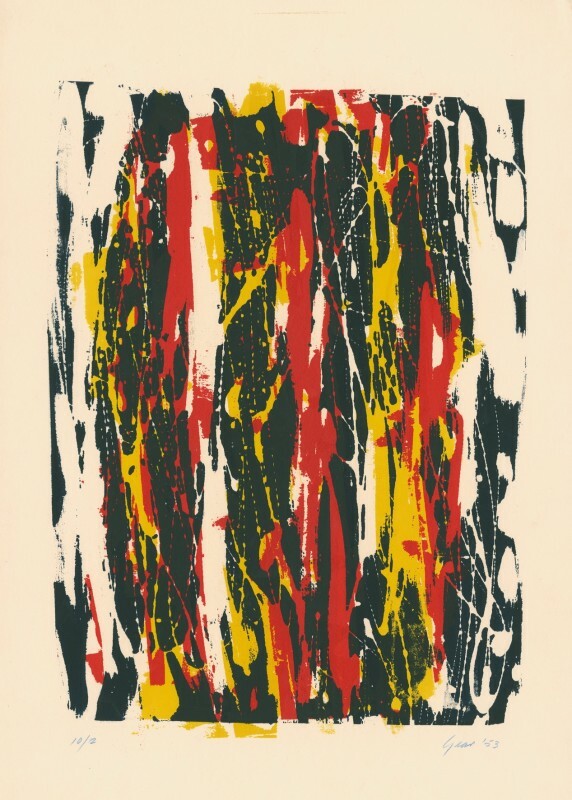 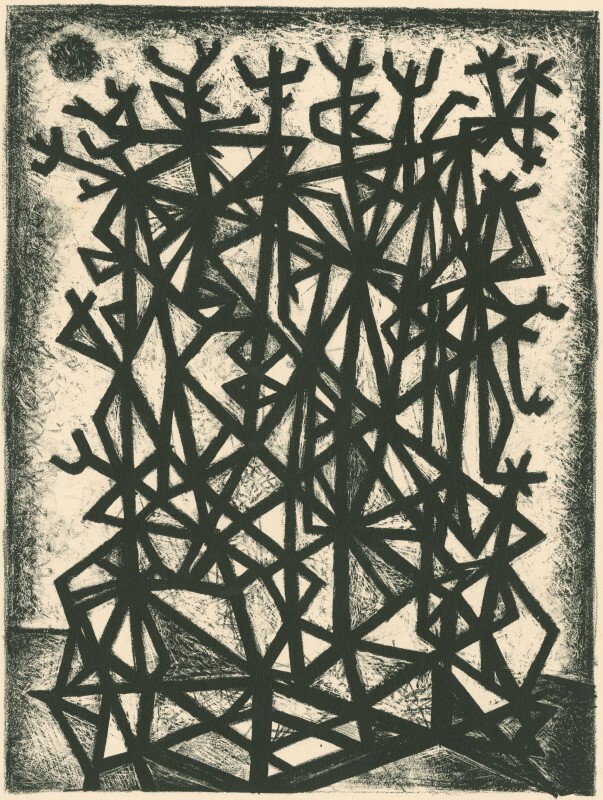 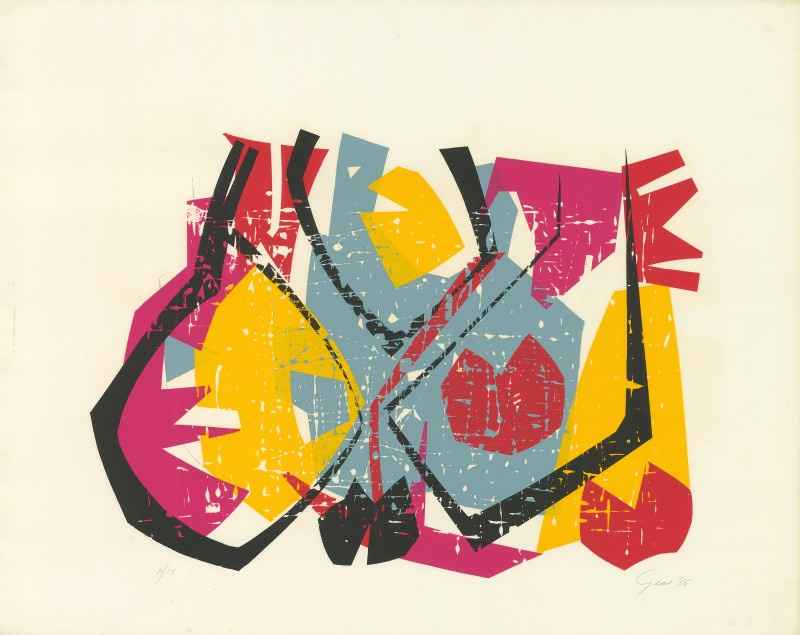 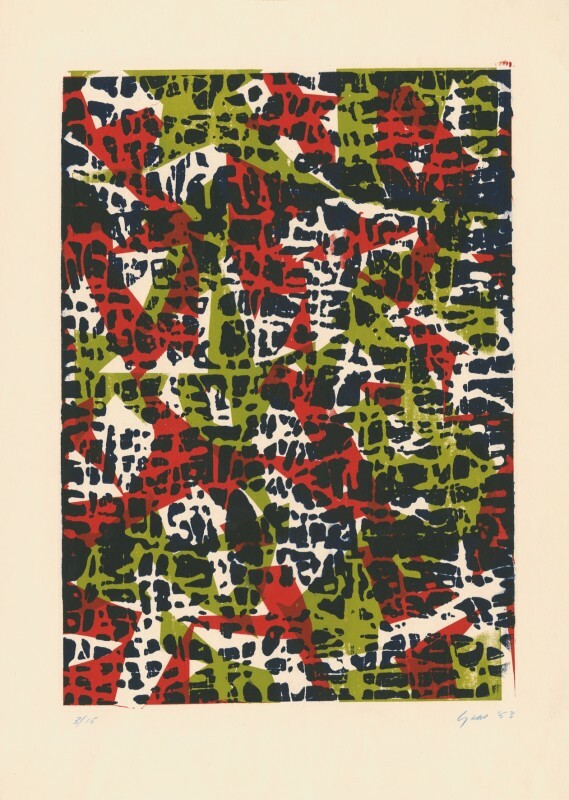 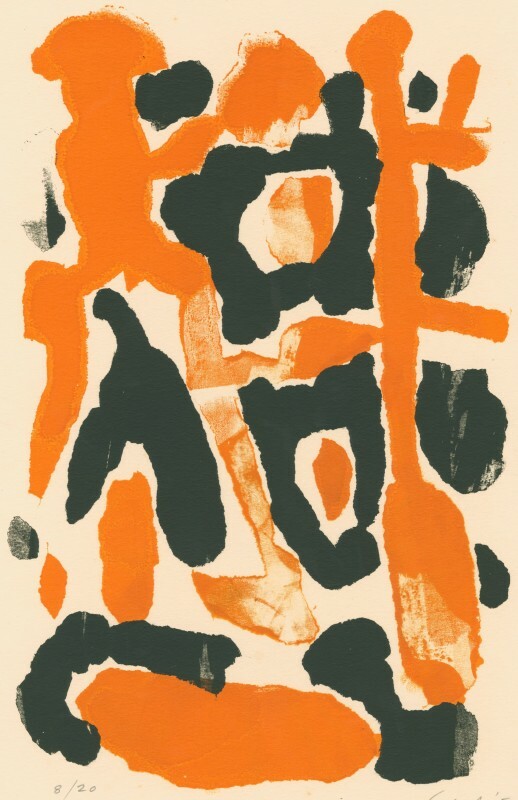 Gear pioneered the technique of silkscreen, and was one of the first British artists to exhibit these prints as artworks, in a mixed show at the Redfern Gallery in 1953. 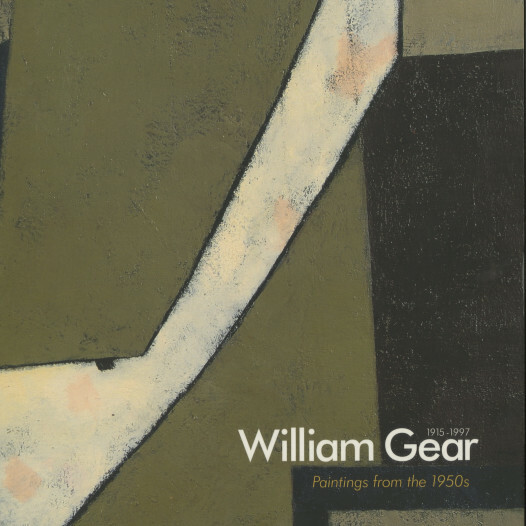 Gear also represented Britain (with others) at the 1952 São Paulo Bienale; shared exhibitions with Ivon Hitchens in London (1954) and with Sandra Blow in New York (1957); while examples of his work featured in British Council touring shows, including Seven British Artists, in 1959. 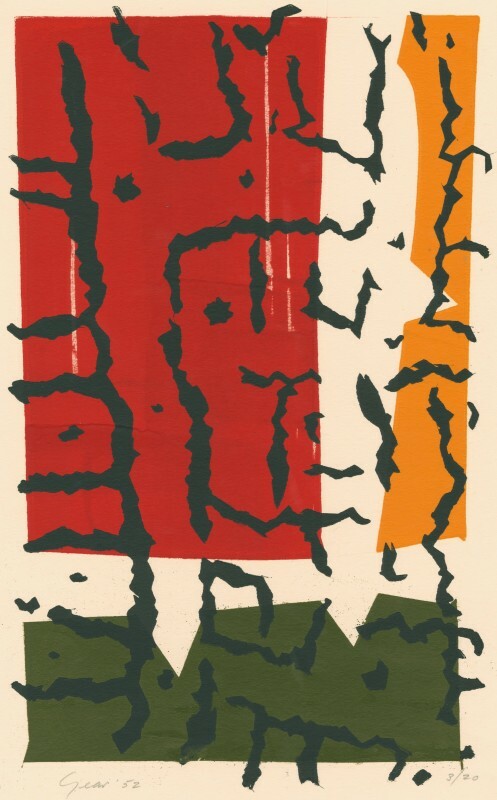 In 1958, Gear was appointed curator of Towner Art Gallery in Eastbourne. 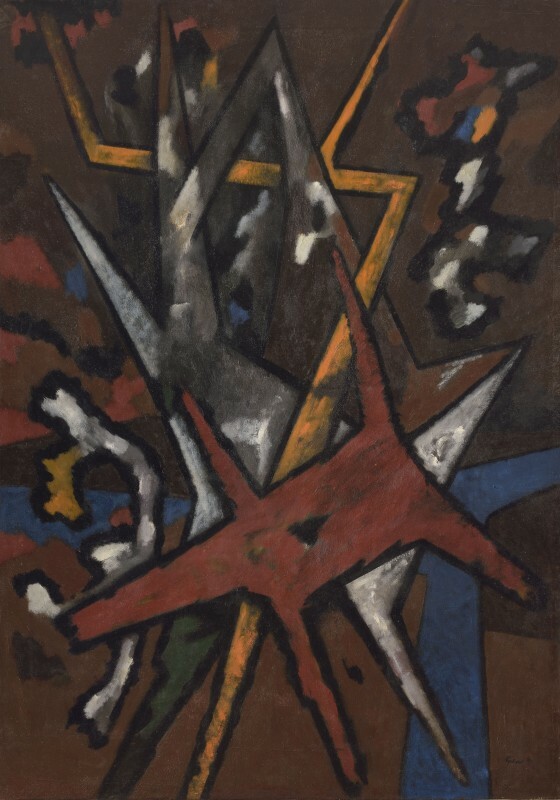 However, the community was resistant to the Modernist art Gear bought, and every purchase had to overcome fierce opposition. 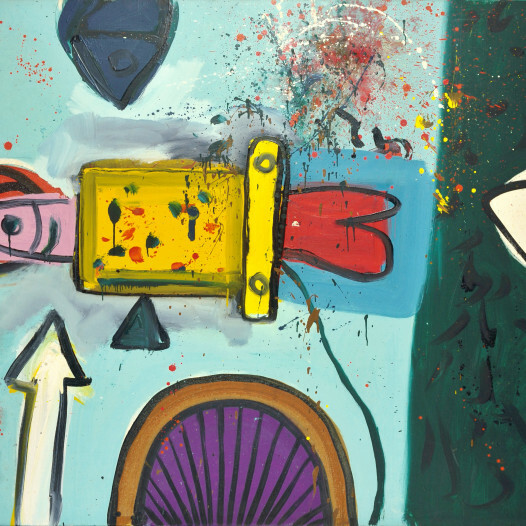 He later said of this time that "I won the battle, I was a casualty if you like, but I won the battle". 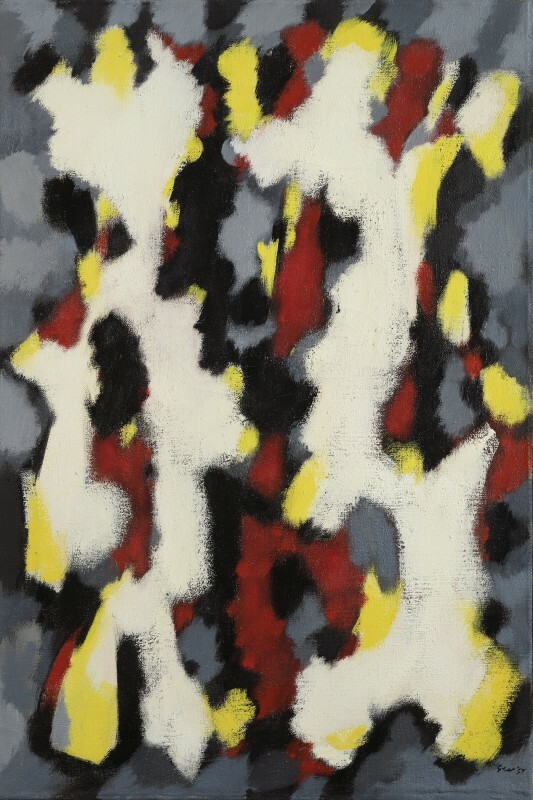 In 1960, two paintings were included in the Royal Academy’s Summer Exhibition—the first abstract works ever to be shown at the Academy. 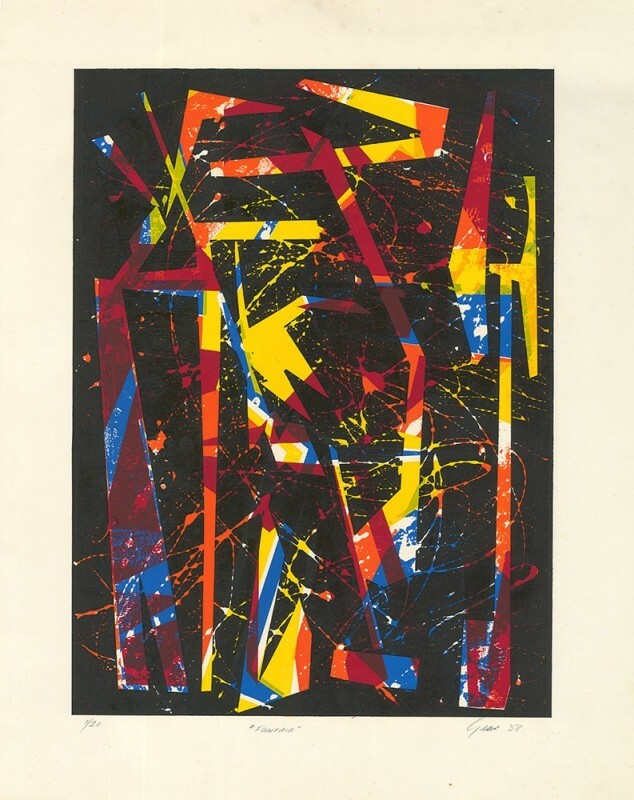 At the 1962 Summer Exhibition, his submissions were rejected by the RA Hanging Committee, prompting the sculptor F.E. 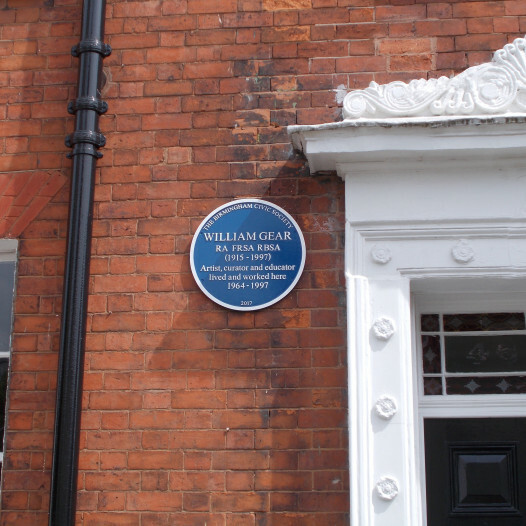 McWilliam to resign in protest. 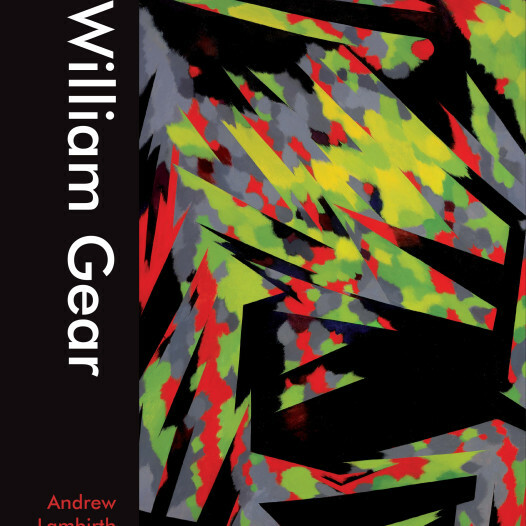 Gear quit his post as curator in 1964, and started teaching at Birmingham College of Arts and Crafts (until 1975), where he taught Brendan Neiland. 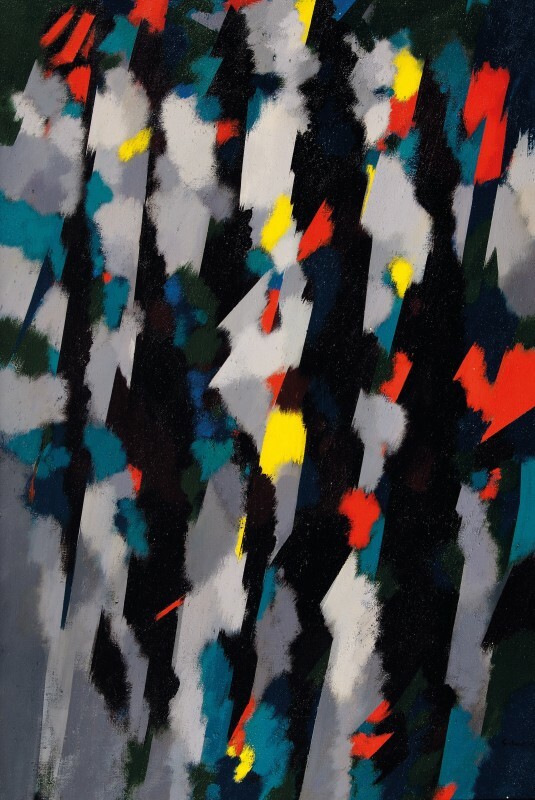 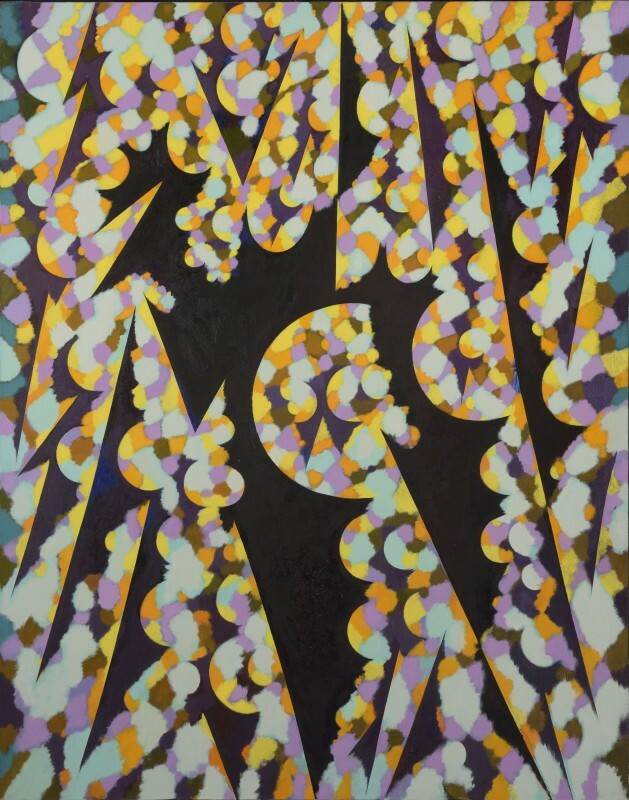 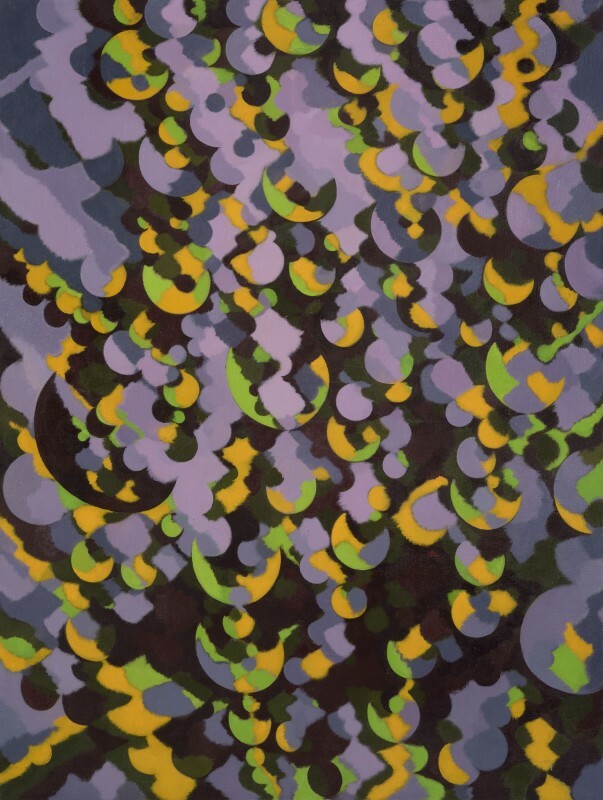 In this period, Gear painted dynamic, diagonal black armatures against vibrant detonations of colour, perfecting a new, thrilling evocation of light pulsing through foliage. 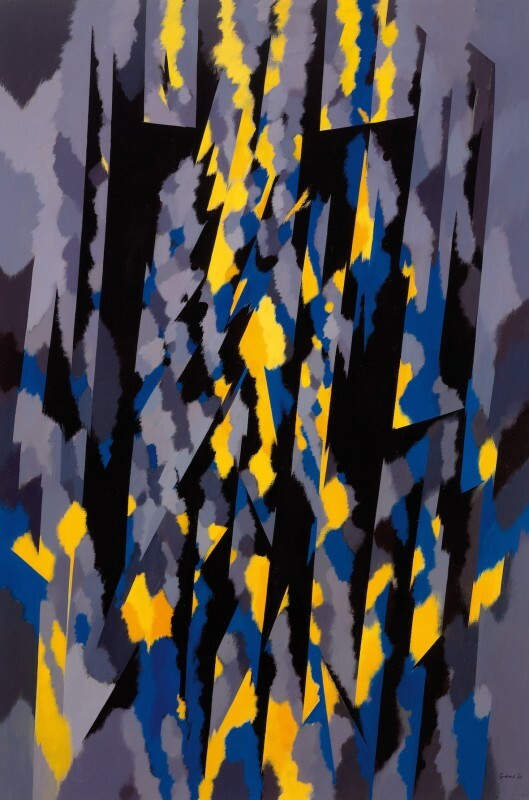 From the 1970s onwards, the armatures no longer symbolised tree trunks, but jagged and irregular metal off-cuts, though the harsh forms were often complemented by warm tasches of colour. 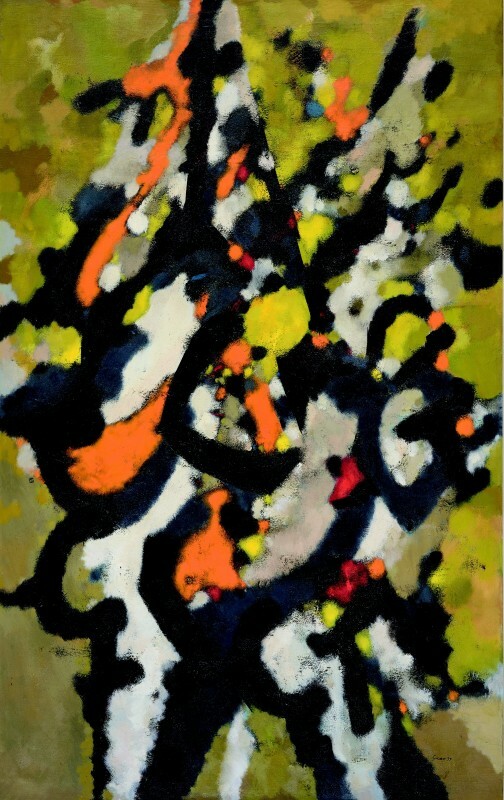 These years also saw him painting softer, more rounded shapes in amongst the hard edges. 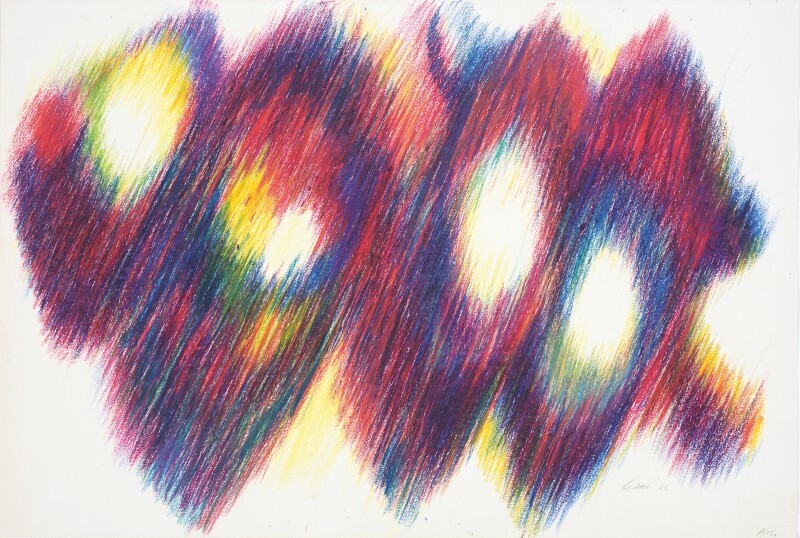 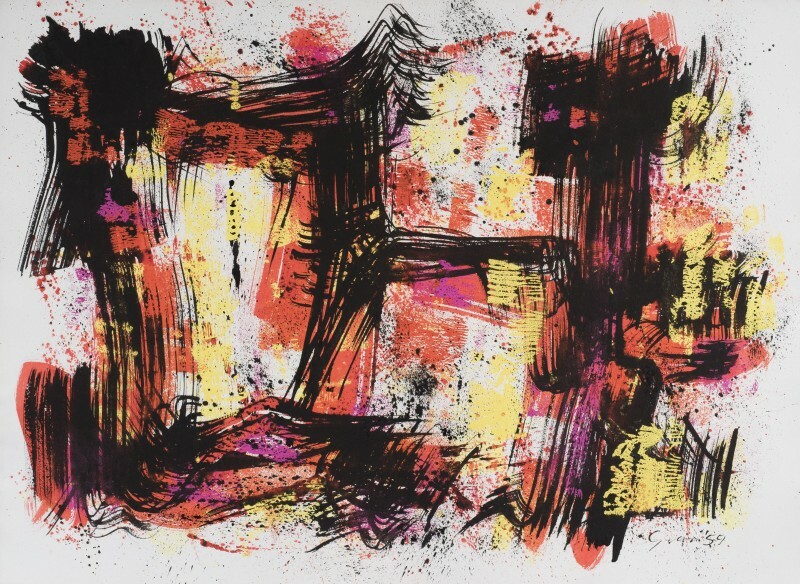 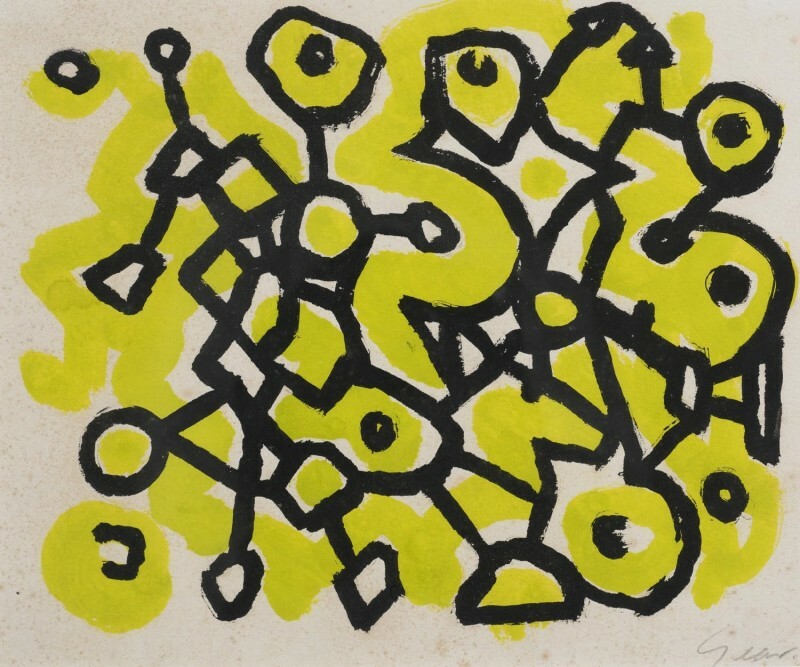 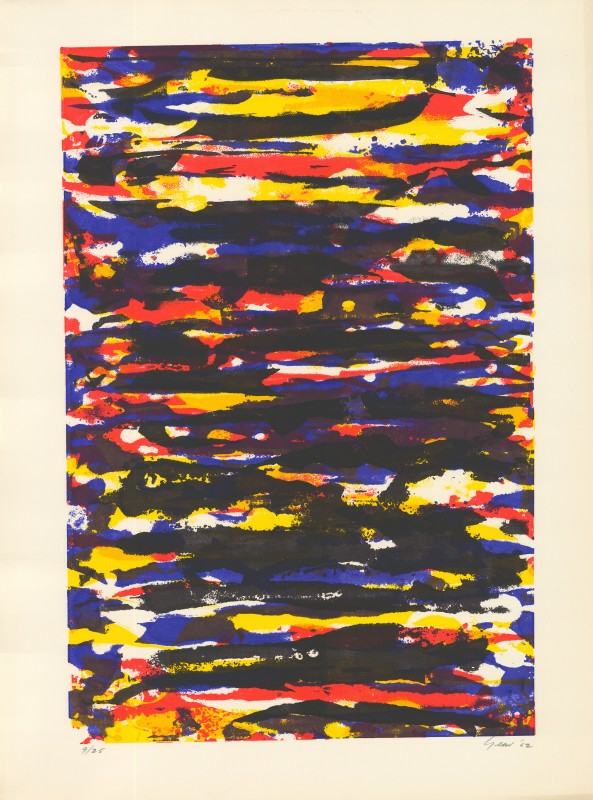 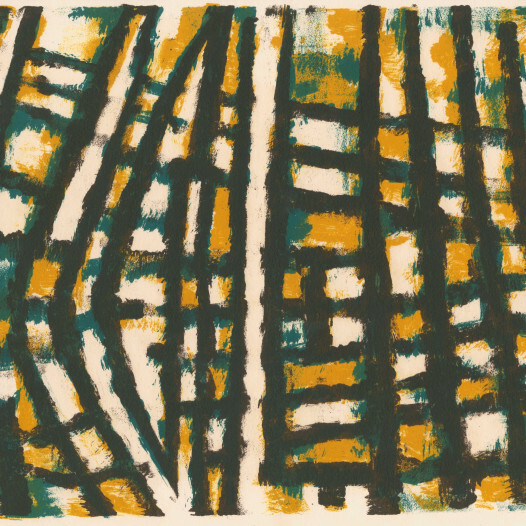 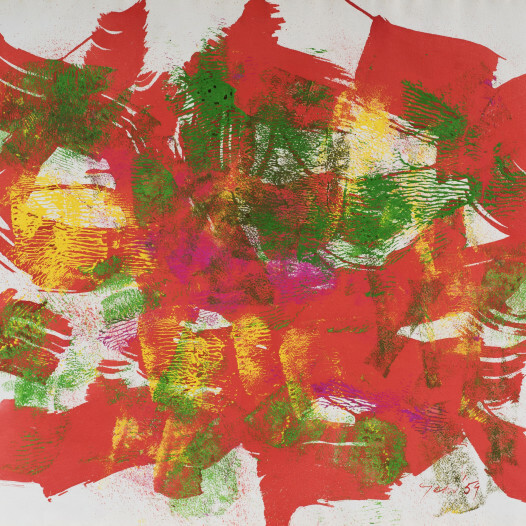 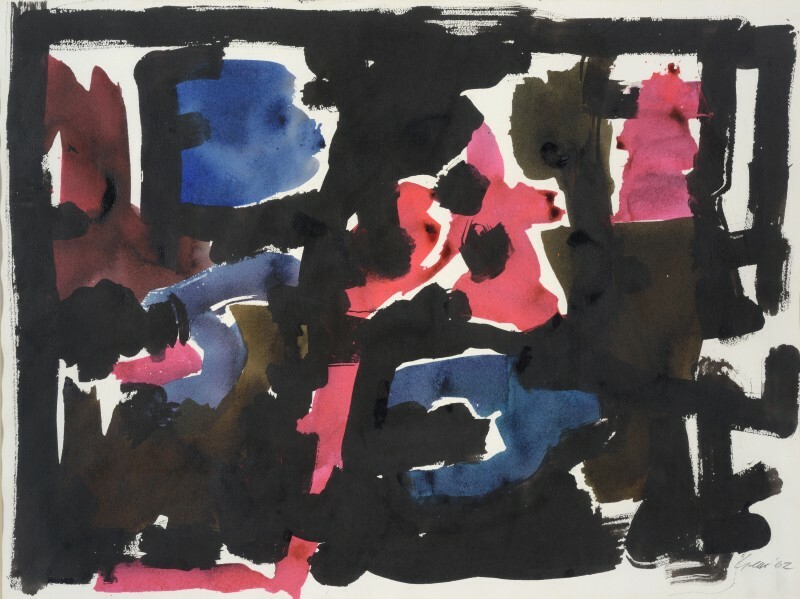 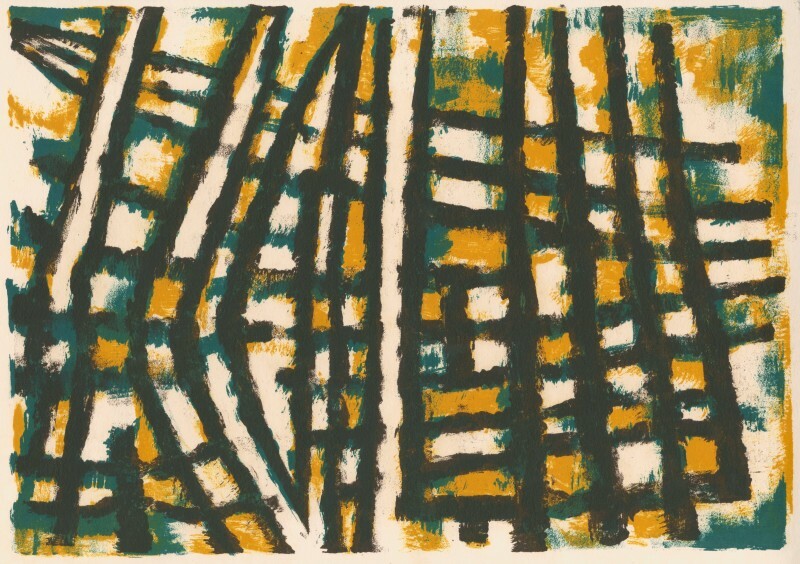 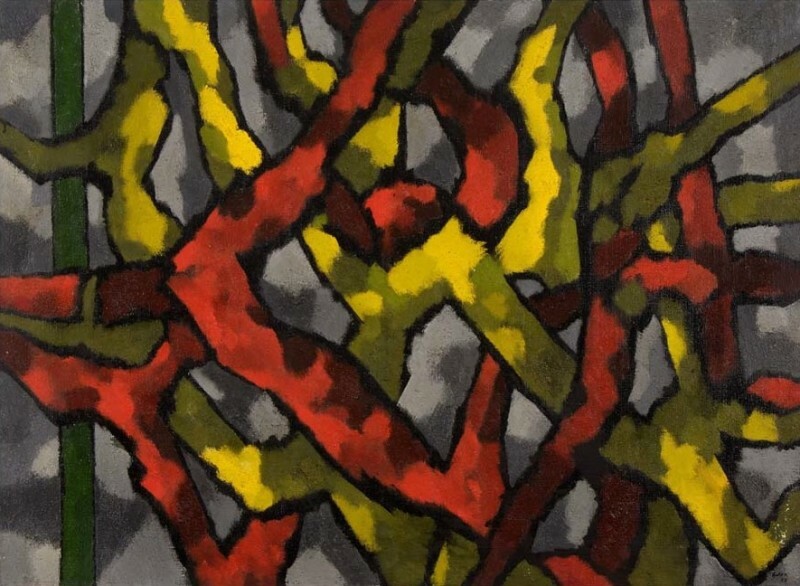 Gear spent his final years making abstractions with ink and oil-stick on paper. 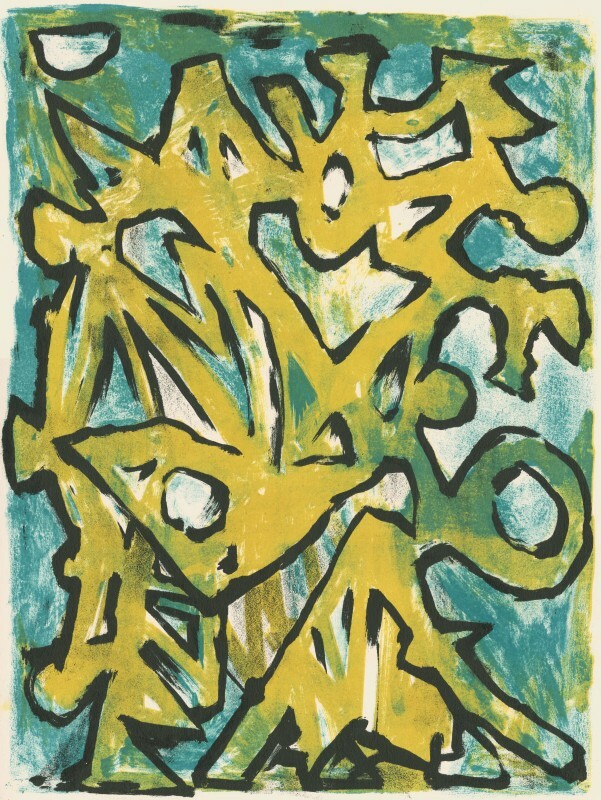 From the 1970s until his death, Gear had a number of retrospective shows in various galleries, and was part of many mixed CoBrA exhibitions. 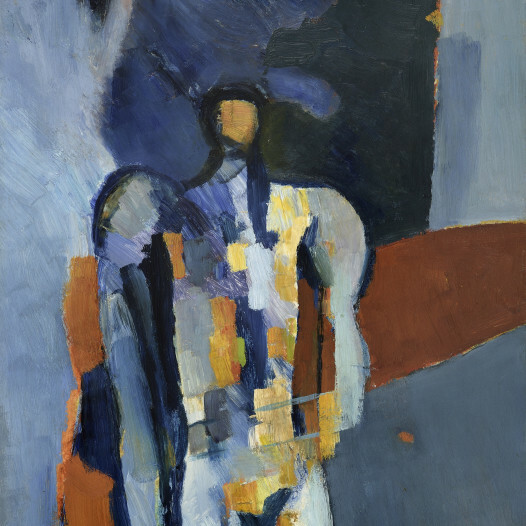 Gear was made a Senior Royal Academician aged eighty – some three decades after first exhibiting at the Academy. 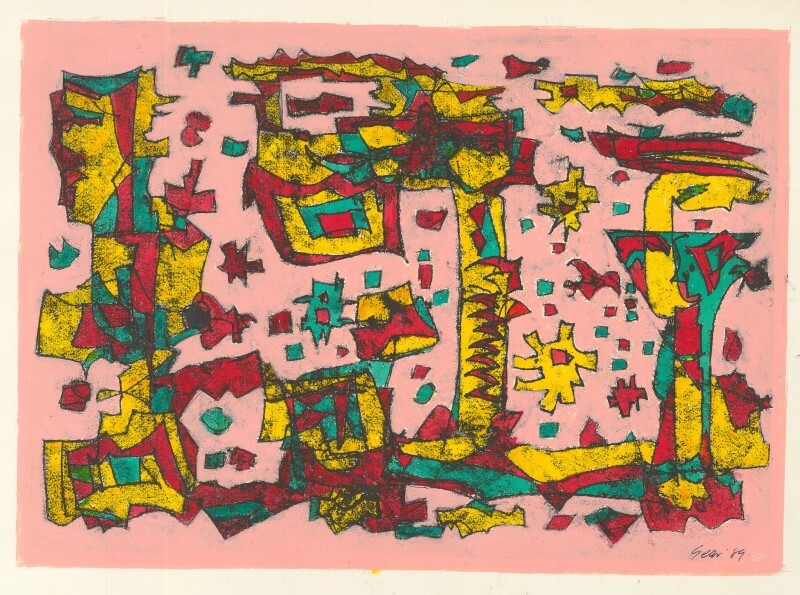 In February 1997, the Redfern Gallery’s Golden Jubilee Exhibition, celebrating fifty years of Gear’s output, became a memorial show, with Gear having died just days before the opening. 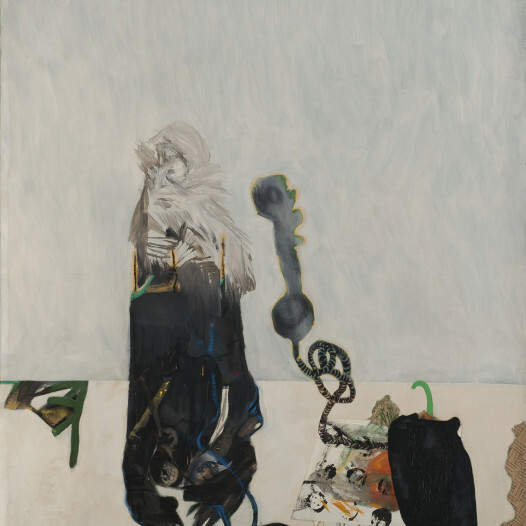 A major retrospective was staged at Towner, and toured to City Art Centre, Edinburgh, during 2015-16. 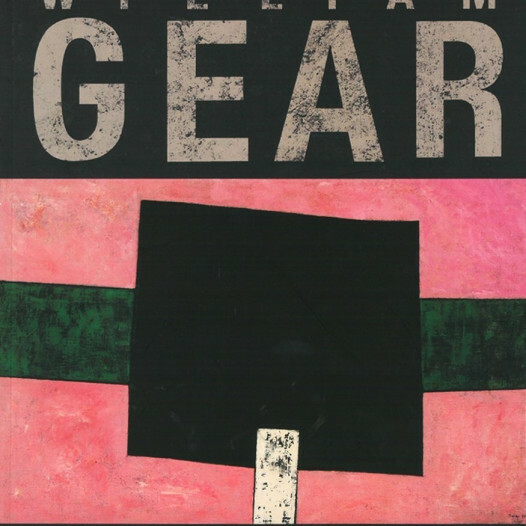 William Gear's Estate is represented by the Redfern Gallery. 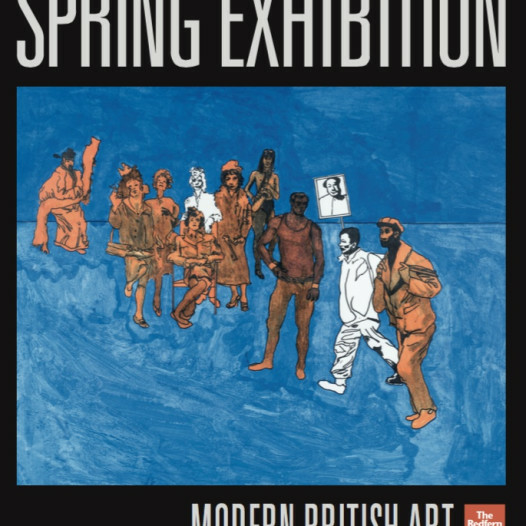 Fully illustrated in colour, with an essay by Andrew Lambirth. 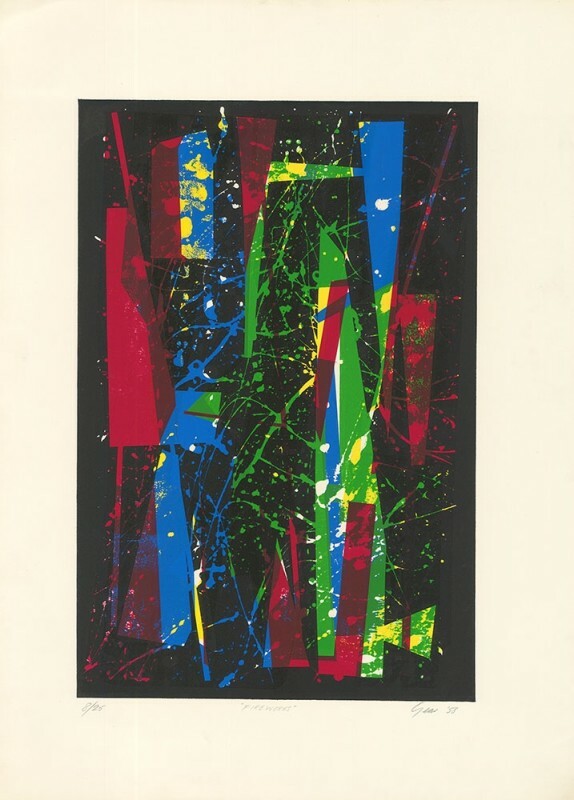 Fully illustrated in colour, with an introduction by Martin Harrison. 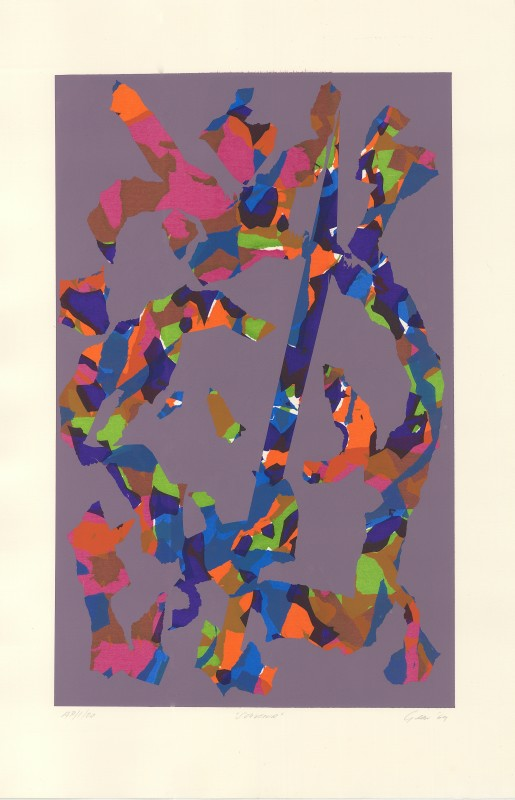 Fully illustrated in colour, with an e ssay by Andrew Lambirth.